I've been living in San Antonio for four summers now and it wasn't until this year that, thanks to a friend, I discovered a hidden gem. I wanted to do a photoshoot showcasing some of the new clothes I has purchased from Talltique and Long Tall Sally but didn't know of a good location to take the pictures. My friend, who is a very talented photographer, suggested the Japanese Tea Garden which is a place I wasn't familiar with. When I arrived I was blown away at the undeniable beauty! The garden was filled with beautiful exotic greenery, enchanting walkways and paths, lily ponds full of little turtles and koi, a rocky waterfall and lovely structures to shelter you from the sun as you take in the incredible views. Lily pad, koi and a turtle! This serenity is free and open to the public. If you're thinking of a place to go and escape on your own, a date spot or just a place to take beautiful pictures, I highly recommend you come check out the San Antonio Japanese Tea Garden! It's located at 3853 N. St. Mary’s Street, in Brackenridge Park, between The Sunken Gardens and the San Antonio Zoo. Also, check out my other blog to see how the photos turned out! 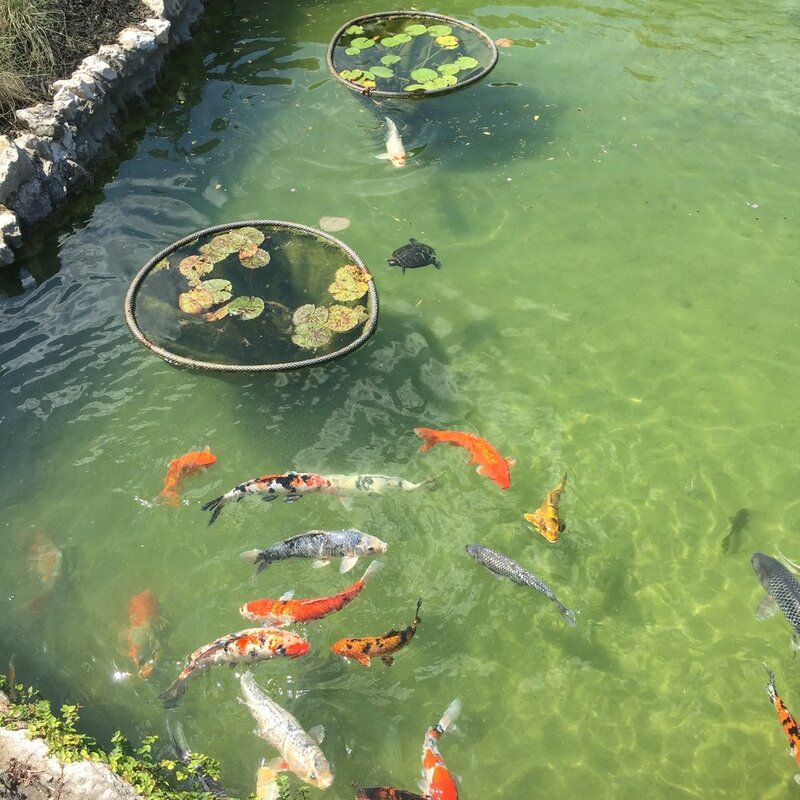 Have you been to the Japanese Tea Garden, or do you know of any other hidden gems in San Antonio? Let me know in the comment sections below!